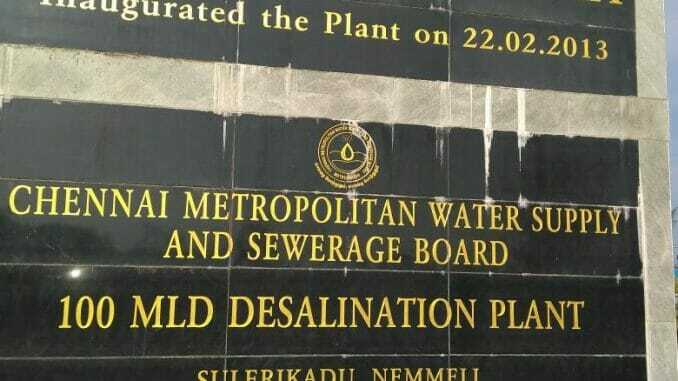 Rs 1.36 crore a day for just 200 million litres of water; can Chennai really afford desalination plants? Reports about a third desalination plant, with a capacity of 550 million litres a day (MLD), have raised hopes among Chennaites. Convinced that their water woes can be successfully addressed with advanced technology, citizens welcome the state government’s proposal of the plant that would make sea water potable. But, are desalination plants really the solution we need? Environmentalists are often deeply critical of pollution caused by desalination plants. But, even if we put aside the concerns around environmental damage for the present discussion, desalination plants themselves do not appear to be economically viable for the city. The government spends a mammoth Rs 1.36 crore every day in Operational and Maintenance (O&M) costs to source 200 MLD water from the existing desalination plants at Minjur and Nemmeli. This hefty drain on the exchequer could be reduced by more than four times if we can rely on surface water resources — lakes, ponds and quarries. In simpler terms, the government would be spending only Rs 29 lakh to acquire the same amount of water from the water bodies of Chennai. That should not be a great challenge given that the proposed Chennai Metropolitan Area is blessed with 4100 water bodies, as pointed out by S Janakarajan, retired professor of MIDS. This expenditure of Rs 29 lakh is on account of operations and maintenance of plants that treat water from the water bodies to make it potable. Presently, the city is already sourcing 30 MLD water from Sikkarayapuram quarries and distributing it to the general public, after treating it at Chembarambakkam plant. The 4MLD water sourced at Porur lake is quenching the thirst of the Porur and Poonamalle residents. “Nearly 4 lakh people were supplied safe drinking water from these sources during the drought in 2017. Mogappair, Alandur, Valasarawakkam, Porur, Ramapuram, Nandambakkam and adjacent areas benefitted from these works,” said a press release from Chennai Metro Water. Minjur and Nemmeli plants yield 100 MLD water each, amounting to 200 MLD. The cost of converting the saline water to potable drinking water (of 200 MLD) can then be estimated at Rs 1.36 crore (68,000*200). Thus the above table indicates that the state government spends close to Rs 500 crore per annum to get just about a fourth of Chennai’s water requirement (of more than 830 MLD). The current cost of procurement of 200 MLD from desalination plants is higher than the 450 MLD sourced from the four reservoirs, agricultural wells and quarries. The capital cost per MLD of a desalination plant is again double that of water treatment plants. The capital cost to tap water from surface water resources includes laying pipelines and setting up treatment plants. “But it is not necessary to set up a treatment plant at every lake at that cost. We could divert water from the lakes to the existing plants for treatment,” said a water expert, choosing anonymity. In order to explore new sources to augment the city’s water supply, Chennai Metro Water had identified 13 lakes and six quarries for a feasibility study in 2018. 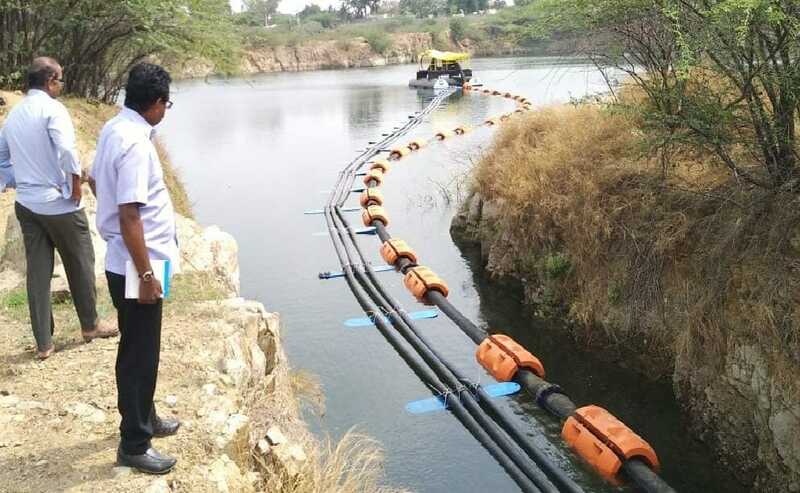 The success stories of tapping water from Porur lake (4MLD) and Sikarayapuram quarries (30MLD) encouraged the Metro water department to conduct hydrography surveys at these 19 water bodies. Water from these sources is currently being treated, before it can be supplied to the general public. As per the press release, the officials of the department finalised these 19 water bodies after a direct visit. CMWSSB has also drawn up a plan to complete the study for the remaining lakes completely. “The study will include Hydrography survey for estimation of quantity, water quality survey, for pipeline feasibility,” the press release stated. “Even if ten water bodies are finalised where we may implement the Porur lake model, and if we could tap as less as 20 MLD from each of these large water bodies, we would not need desalination plants at all. All we need to do is to restore these lakes,” said the water expert. The advantages of tapping surface water resources also came from the horse’s mouth. “The very less gestation period and relatively lower cost of these works are significant. The 34 MLD total supply capacity of quarry and Porur works were completed at a very short duration of three months,” the CMWSSB press release stated. 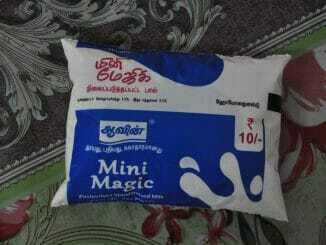 “Chennai generates over 1000 MLD sewage each day. The cost of treating sewage is less than converting saline water into potable water. Desalination plants are ecologically unsound and prohibitively expensive,” said retired professor Janakarajan. 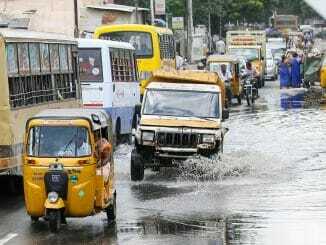 Our water problems are essentially due to mismanagement of water bodies, and Chennai is not a rain-starved city. “Chennai’s average annual rainfall of 139 cm is sufficient to recharge its aquifers. We don’t have perennial rivers, but we have abundant surface water resources. The city of London, with just 60 cm of annual average rainfall, relies on surface water resources. It is shameful that we have opted for the extravagant choice of desalination plants instead,” said Sai Praneeth, Director, Hydro-Meteorological Innovative and Explorative Solutions (HYMIES). All of this only points afresh to the old, repeated emphasis on de-silting, interlinking of water bodies and improvement of catchment areas for better inflow of run-off water. Choked storm water drains, battered roads: When will Chennai be monsoon-ready? The Kerala floods have led to serious concerns over how Tamil Nadu would deal with a similar natural disaster. Looking closer home, at a few neighbourhoods in Chennai, we find there’s a lot to be done, and the short-staffed GCC must start today if we really want to be prepared. Had a very busy week? Weren’t able to catch all the news from your city? Never too late. Here’s our quick wrap of some interesting headlines from the week gone by. At the Sakkadai Thiruvizha organised by Arappor Iyakkam, officials from Chennai Corporation, PWD and CMWSSB met citizens from various neighbourhoods, who raised important questions on sewage and pollution of the city’s water bodies. People should know that even surface water to be stored requires adequate rains. Furthermore desalination plants are perennial source of water in this century. The author is living in a dream world where there are plenty of monsoon regularly. In future Chennai is not going to have regular monsoon and failures will be more than normal due to early start of cold winds from North India.So the only reliable source is sea water desalination. It will be less costly to have a giant desalination plant which will be more economical than tapping from various small sources. So it is wise to concentrate on sea water desalination and sewage treatment plants. it is high time to implement rainwater harvesting in every buildings strictly. Mr.Janakrajan..if we utilise the ground water from agriculture borewells, lakes and ponds what will happen to agriculture? If we tap more water from these sources the underground water level will go down and the sea water will enter into it. The entire area will have salty water once for all. To safeguard our aqua system it is good to have more water desalination plants and we have to improve the cost reduction by research. It would be interesting to know the storage volume of the 4100 tanks mentioned by prof. Janakarajan. I’ve worked on desal plants, they are very expensive to set up and to operate and are harmful to the ecosystem as well. They should only be pursued as a supplemental source and not as a main source. Chennai does not follow good watershed management practices. We need to get our basics right first. Simple practices that are already well established in engineering can solve the water scarcity problems that Chennai repeatedly faces every year. 5. Rivers, creeks, estuaries, and marshlands surrounding the city should be recognised as important part of the water cycle. Marshlands are natural bodies which can treat sewage water and recycle it into the rivers, creeks, lakes, and groundwater table. We are treating them as garbage dumpyards now! !